Are there any cool Vehicles and Transport in Dragonball? Yes there are and we are going through some interest vehicles found in Dragonball. 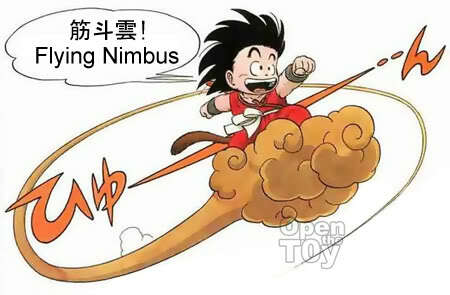 First on my list is none other than, The Nimbus cloud aka 筋斗云. It was given to Goku by Master Roshi at the earlier days of Dragonball series. It was a reward for returning Master Roshi's turtle to the sea. It was said that only those who are pure at heart can sit on it. 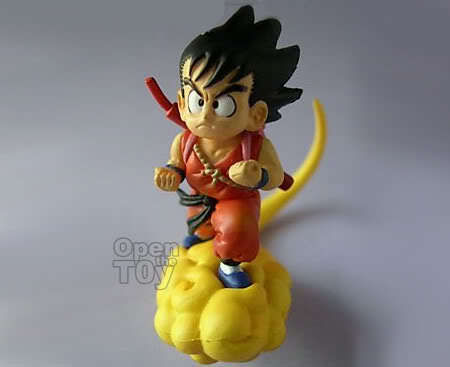 So far only Goku, ChiChi and Gohan can sit on the flying nimbus. In the story, the flying nimbus was destroyed by a Piccolo's henchmen, Tambourine and we learned that korin has lot more of Nimbus where it came from. The original flying nimbus was given to Master Roshi by Korin and somewhere down the line Master Roshi can no longer sit on it (likely because of his unpure interest in woman) and thus gave generously gave it away to Goku. The flying Nimbus was helpful in the story of Dragonball mostly during that time, Goku still have not learn how to fly yet. It actually saved Goku and even Gohan from some tight situation before. In the anime, the Flying Nimbus is yellow in color but sometime in the manga, it appear to be white. 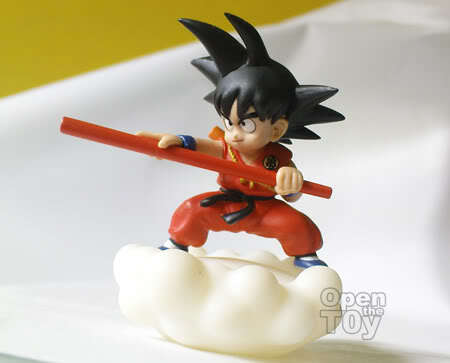 For the toys, there are a numbers of Flying Nimbus making appearance in Gashapon (capsule toy) along with Goku. 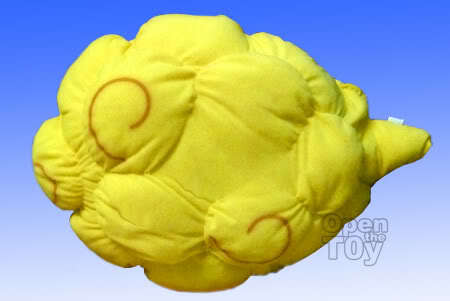 Since the flying Nimbus is made for sitting, Banpresto actually came out with the Flying Nimbus Cloud 12" Plush cushion. Look cute but not so comfortable for me. Thanks desmond for your encouragement. You are dragonball fan? i want the real one and not the cushion. Not really, I am Star Wars fan and initial D fan.. The customised Flying Nimbus you had looks great too! Vegeta always slow in catching up. His pride is his stumbling block.